At Embody Balance we offer a variety of yoga, mindfulness and meditation groups, as well as other wellness workshops. Here’s a look at what’s coming up! Please note, many of our workshops are held at our partners’ locations. Yoga & Mindfulness offers engaging and non-competitive support for the mental, physical, social and emotional wellbeing of your youth. Fun, age appropriate yoga postures, breathing techniques and mindfulness practices are presented to help develop body awareness, self-esteem and coordination. Participants will also learn skills to improve focus, reduce stress and energize. Cost: $25 per class, $95 for 5 week series, pre-registration required. Dates: 2nd and 4th Tuesday of the Month: February 13 and 27, March 13 and 27, April 10 and 24, May 8 and 22. Explore a variety of meditation and mindfulness styles and techniques with the benefit of a group. Perfect for beginner and experienced meditators alike. 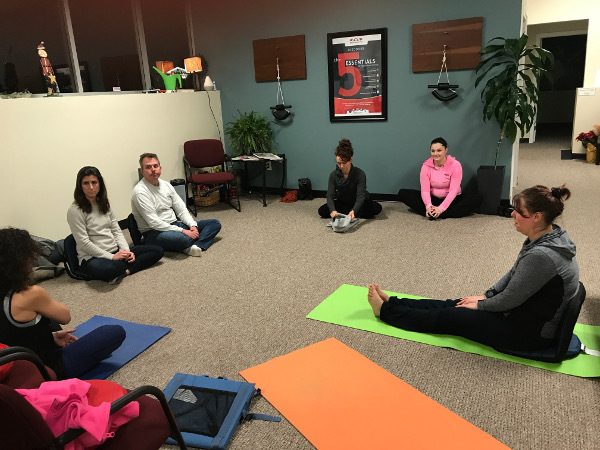 Each week the group will begin with some simple stretching and Pranayama (breathing techniques), and a 20-25 minute guided meditation with opportunity to share within the group. Wear comfortable clothes and bring a yoga mat and water bottle. Chairs will be provided if you prefer. Cost: $12 Cash only. Save by pre-registering for multiple nights. Join us at Flow Yoga Studio Thursday March 1st to begin to stretch and awaken from winter’s hibernation & slumber with a restorative Yoga practice, and nurturing therapeutic massage. Students will be guided through a restorative flow with many hands on adjustments. Woven into the practice will be compression, stretching and other Thai massage from Nicole Anastas and Beth Manning as well as Self massage techniques with therapy balls and hot stones. Yoga and Massage together will leave you feeling deeply relaxed and rejuvenated! This evening yoga series blends a 45 minute beginner friendly, strength building Vinyasa flow with 30 minutes of gentler, restorative poses. We will focus on breath and linking breath with movement to cultivate mind-body awareness and help with stress reduction. Each class ends with a final relaxation and meditation. This special yoga class is an all levels restorative flow moving from Root to Crown introducing qualities, mantra and asana (postures) for each Chakra. You’ll learn how to tap into, tune up and balance each energy center leaving you feeling inspired and relaxed! We’ll end with a guided Chakra meditation. 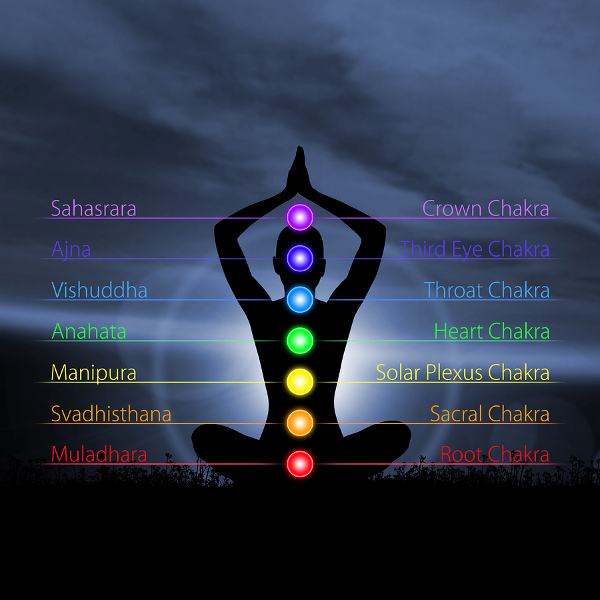 Chakra’ (CHäkrə) means ‘wheel’ and according to Yoga tradition, we have seven main Chakras that act as energy centers along the spine from tailbone to crown of head. Each energy center corresponds to physical systems, mental perceptions and emotional states and by tuning in and learning how to recharge on this energetic level we can feel grounded, creative, focused, intuitive, compassionate and clear. In today’s world, most parents are working outside the home in addition to the work of raising their children. Just getting through one day of getting the kids to school, commuting, working, meal preparation and helping kids with homework can bring on excessive levels of stress. It also leaves little time for parents to take care of themselves. In this workshop we will learn simple techniques like EFT (tapping), yoga postures, breathing, and mindfulness practices to reduce stress, stay present and calm. We will also have opportunities to share challenges and celebrate successes. What to wear/bring: Wear comfortable clothes and bring a water bottle. Registration: Please contact Nicole info@embody-balance.com to get on the registration list. Caring for an aging relative, child, spouse or other loved one is physically and emotionally challenging. Self-care is not a luxury but crucial for your own health and for the person in your care. 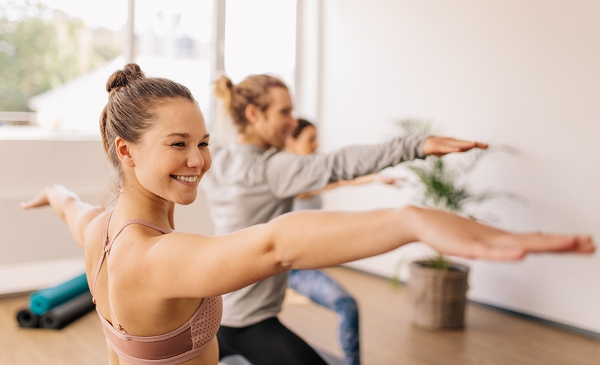 Come recharge and replenish with this 6-week class exploring simple yoga postures, breathing and mindfulness techniques. Cost: $72 for a six-week series. Drop-ins welcome at $14 a class. Registration: Please contact Nicole at info@embody-balance.com.